Dive right into our preserves, soups, caviars and seafood rillettes. These delicious dishes are filled with the bounty of the sea. Most of our seafood products are made in Brittany. We give you the chance to rediscover all the best the sea has to offer with our preserves, terrines and even rillettes, which provide ever-more remarkable food experiences. 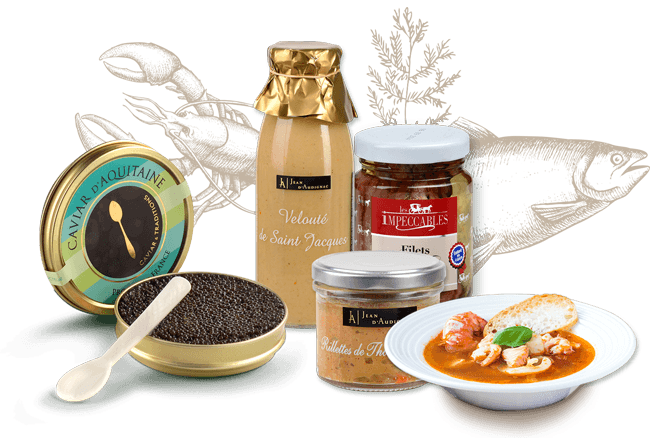 If you want vintage quality, choose our inimitable Caviar d’Esturgeon Bairi d’Aquitaine.